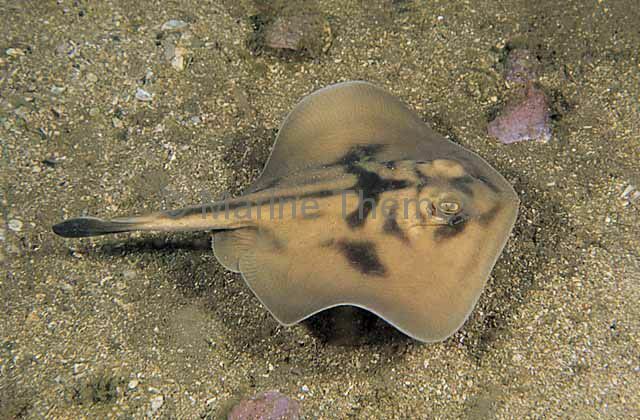 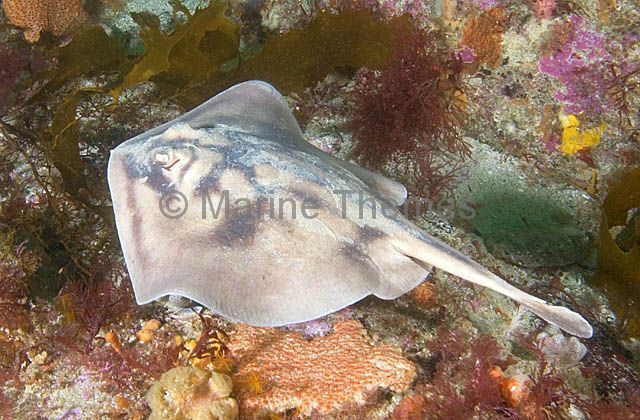 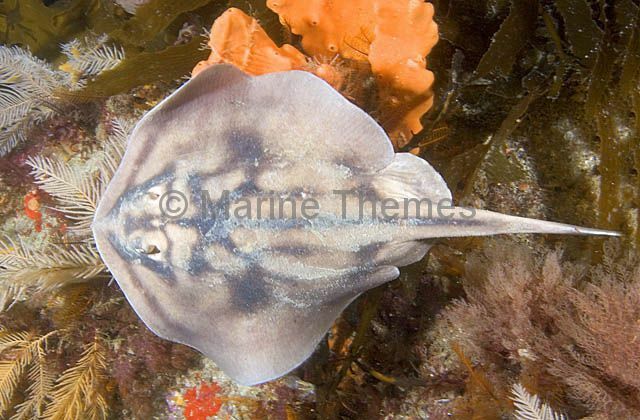 Cross-back Stingaree (Urolophus cruciatus) Female. 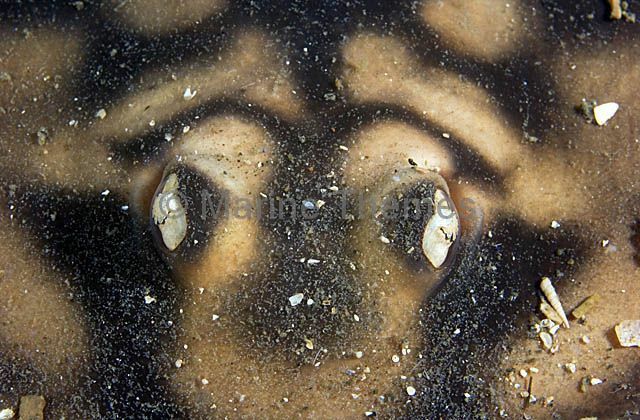 Cross-back Stingaree (Urolophus cruciatus) Detail of eyes and facial pattern. 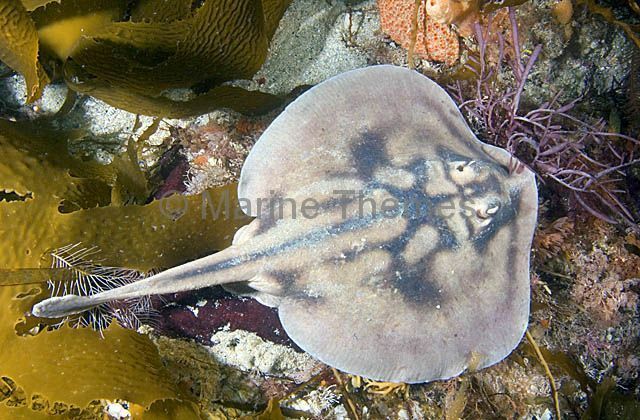 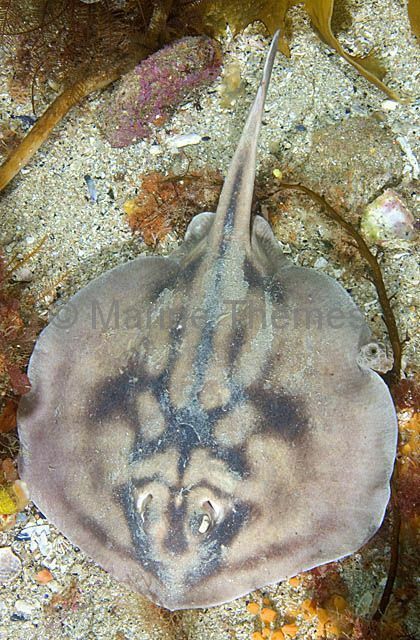 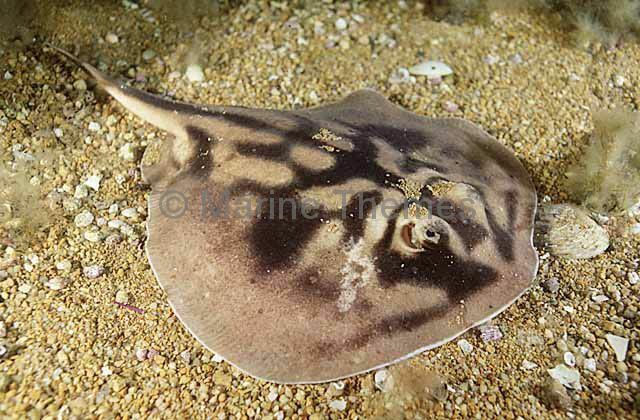 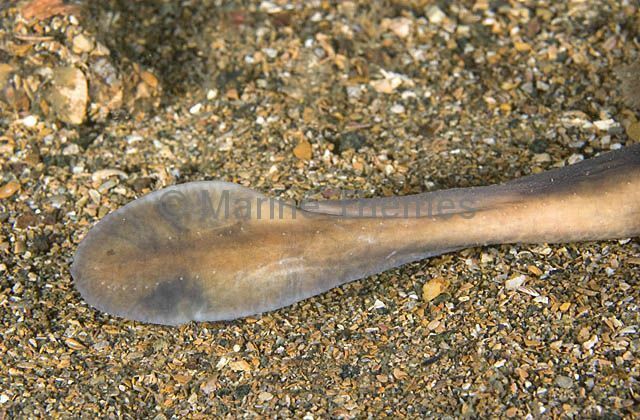 Cross-back Stingaree (Urolophus cruciatus) tail detail showing barbed spine covered in protective skin sheath and rounded tail lobe, distinctive feature of all Stingarees or Round Rays.